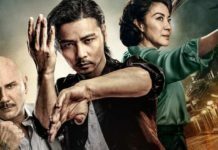 MAAC Review: IP MAN 3 | M.A.A.C. 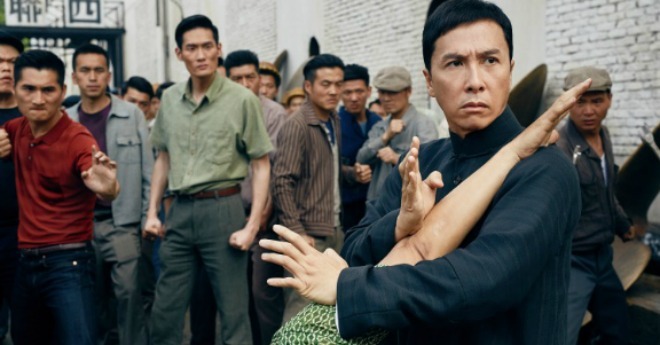 IP MAN 3 picks up a few years after the last installment with ‘Ip Man’ (Yen) trying to live a quite and simple life with his wife and son in 1959 Hong Kong. But ‘Master Ip’ is soon driven into becoming the protector of a local school (that his son attends) from a notorious Triad leader from the west (Tyson) trying to shut it down. 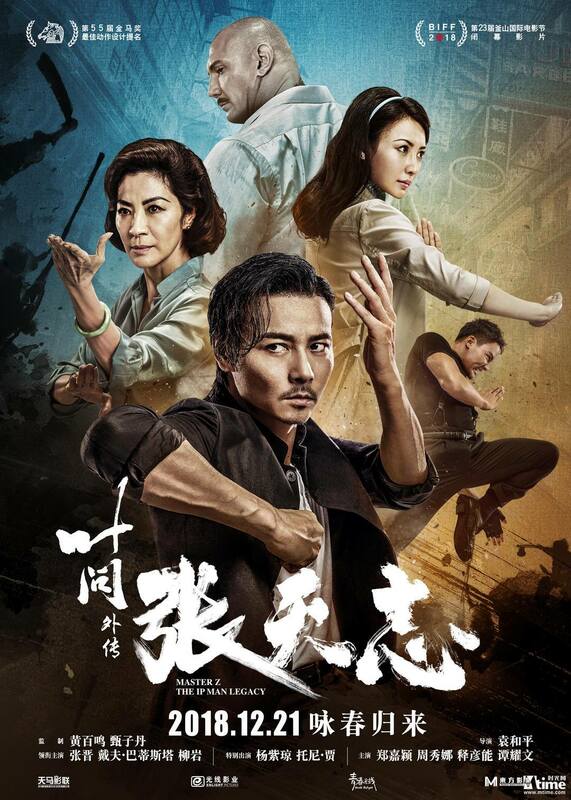 In addition, he has to confront a highly skilled ‘Wing Chun’ rival (Zhang) while also coping with his terminally ill wife (Lynn Hung). Legendary martial arts choreographer YUEN WOO PING (Fist Of Legend, The Matrix) takes over for Sammo Hung for this 3rd installment and he definitely brought his ‘A’ game. 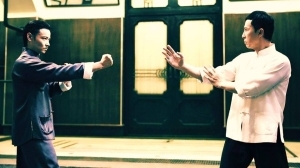 Having previously worked on another ‘Ip Man’-centric film (2013’s The Grandmaster), he already have the working recipe to choreograph ‘Wing Chun’ style fight scenes. But the one major ingredient here that separates this film to ‘The Grandmaster’ is world class martial artist DONNIE YEN. No disrespect to Tony Leung Chiu Wai, but when it comes to “action” Yen is the BEST there is. 1. 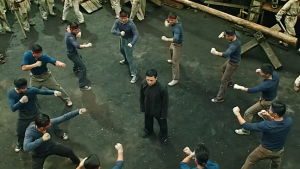 Ip Man vs multiple thugs at the shipyard: Woo Ping pays homage to the original ‘Ip Man’ as he starts off the scene by pitting Master Ip against 10 fighters as seen in part one. 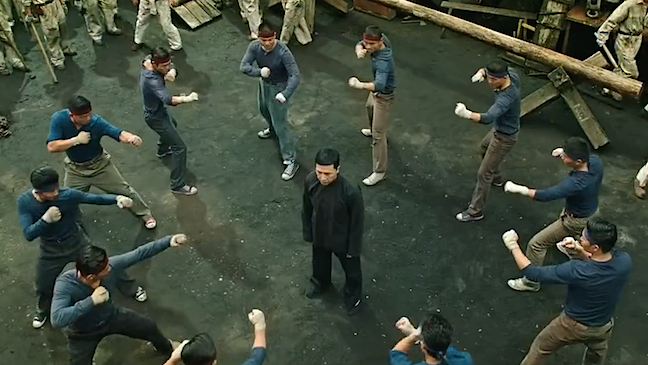 Ip Man ends up fighting roughly 30 men while also protecting his son, adding a sense of danger. The original scene was so memorable and iconic, it is almost impossible to top. But good effort by Woo Ping. 2. Ip Man vs Thai Fighter: This fight is staged in a compact elevator as Ip Man and his wife is confronted by a Thai fighter played by stunt actor SIMON KUKE. ‘Wing Chun’ vs ‘Muay Thai’ as the two go at it from the elevator to the stairway. Kuke is best known to be Thai superstar TONY JAA’s stunt double, so his movement and style is almost identical to Jaa’s. So for all martial arts fans wishing for an on-screen dream dual between Yen and Jaa, this is probably as close as it gets. 3. 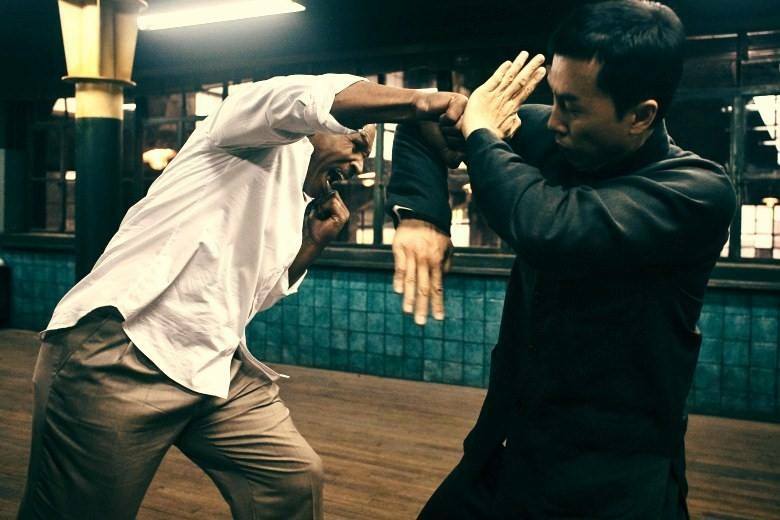 Ip Man vs Mike Tyson: ‘Wing Chun’ vs ‘Western Boxing’. Ip Man is challenged to last 3 minutes against Tyson, which is equivalent to one round of boxing. 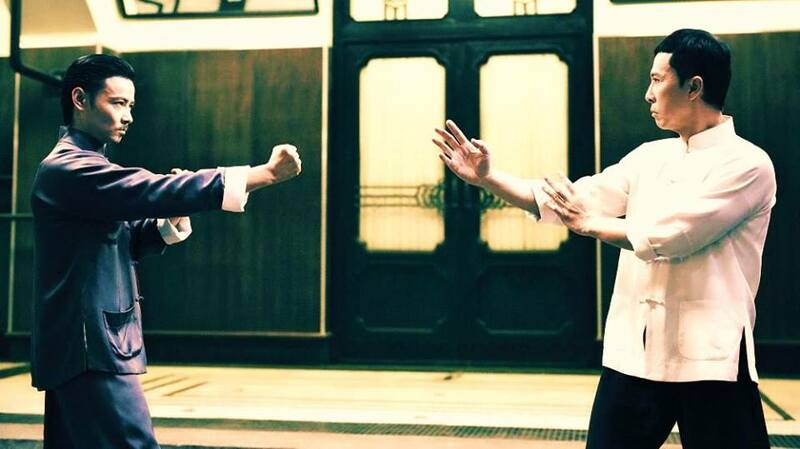 The scene is staged to pay homage to ‘Ip Man 2’ classic bout between Yen and Sammo Hung. Instead of a joss stick, an alarm clock is used as a timer this time around. Tyson is surprisingly agile for his first choreographed fight scene. He fought with the ferocity of classic ‘Iron Mike’ displaying his raw punching power. Very nice hard hitting exchange between Yen and Tyson. The result was a tie similar to Yen vs Hung from ‘Ip Man 2’. 4. Ip Man vs Cheung Tin Chi: The finale. ‘Wing Chun’ vs ‘Wing Chun’. Coming off of his scene stealing role from ‘SPL 2: A Time For Consequences’, MAX ZHANG gives another stellar performance as Tin Chi. No stranger to working with Woo Ping (as the two collaborated in 2013’s ‘The Grandmaster’), Woo Ping pushed Zhang to the limit and brought out the BEST in him to go up against a high-caliber veteran in Donnie Yen. 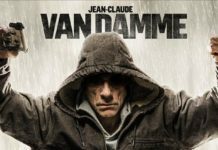 The scene is an instant classic as the two went at it with poles, butterfly knives, and hand-to-hand combat. It was awesome to see Woo Ping paying homage to Bruce Lee as Ip Man’s finishing blow was the famous ‘one-inch punch’! This finale is definitely rated up there with Woo Ping’s other memorable fight scenes such as Yen vs Jet Li from 1993’s ‘Once Upon A Time In China 2’ and Li vs Shidô Nakamura from 2006’s ‘Fearless’. 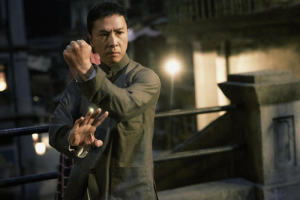 Overall, ‘Ip Man 3’ is a great addition to the series. 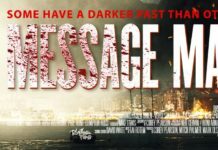 Not quite up to par with the original (which sentimentally is next to impossible to surpass) but is a step above ‘Ip Man 2’. Yen was the first ever to grace the screen as ‘Ip Man’ back in 2008, and he still embodies the role to the tee and did not miss a beat. 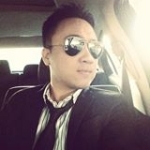 ‘Ip Man’ is to Donnie Yen like ‘Wong Fei Hung’ is to Jet Li. Their careers will forever be tied to these iconic characters. 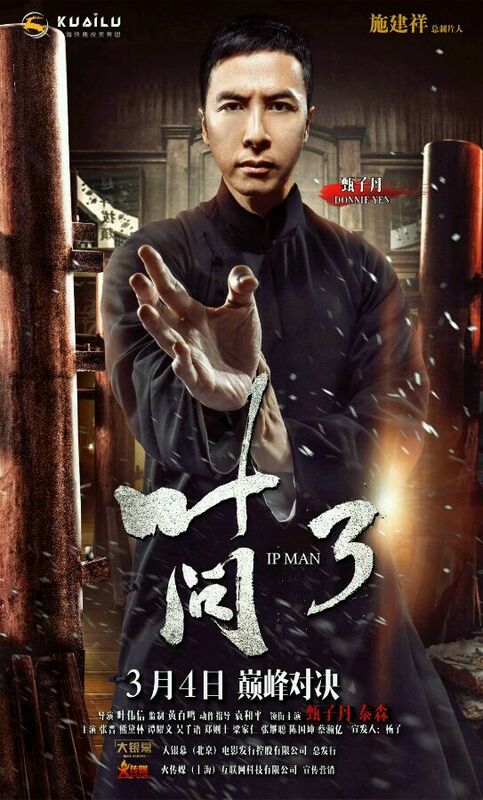 I would love to see a 4th installment to further explore the relationship and training between Ip Man and Bruce Lee. But IF this is indeed the last time ever Yen will portray the character, I am happy he went out with a bang.